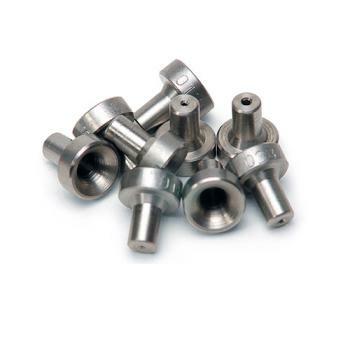 A full range of Edelbrock nitrous oxide and fuel taper face jets are available in virtually any size for your power and tuning requirements. Edelbrock stainless steel jets are available in Tuner Kits packaged in indexed, heavy-duty plastic cases. They include a variety of Edelbrock jets to fine-tune your nitrous system for maximum performance. Designed for use with 1/8” tubing, Edelbrock funnel jets are available for small nitrous systems such as those used on motorcycles, snowmobiles, etc. These stainless steel jets won’t erode like brass jets and maintain precise dimensions for accurate and safe horsepower gains.